We are proud to serve all property owners in the Ashburn area with all their basement waterproofing and foundation repair concerns. Basement Masters Waterproofing is your basement waterproofing, wet basement, and foundation repair resource. Basement Masters Waterproofing wants to make sure to help you protect your investment and keep your foundation safe. We have any solution you might need for all your residential foundation repair needs. When the soil around your home changes due to conditions that get very dry or too wet, this can cause problems such as hydrostatic pressure that puts pressure on the walls of your settling foundation causing them to bow, lean, and crack. We offer a no-quote evaluation after we inspect your Ashburn home, and will find a solution that is right for your home and the foundation problems you are experiencing. When rain falls, which is very common in our area, it is going to try to find a way into your basement. If your gutters and downspouts function properly that is going to help immensely. But concrete is porous and if you have cracks in your foundation, water will find its way in and you’ll have a flooded basement. You need to have a good waterproofing solution for your home, and Basement Masters Waterproofing will find the perfect solution tailored to your basement waterproofing needs. We offer full interior and exterior drainage options. We also now offer dual combination sump pumps. This system has both a primary and battery backup pump capabilities. This provides you with peace of mind. If the power goes out, your battery back up will kick in and keep up the work needed to move water away from your basement or crawl space. Did you know that it is estimated that 40-50% of all indoor air originates in the basement and crawl space of your home? You want to keep your basement or crawl space dry and free from mold and mildew to ensure the safety of your family and ensure healthy living conditions. So call us today if you live in the Ashburn area. Count on the professionals at Basement Masters Waterproofing to provide you with the solutions you need at a price that won’t strain your budget. 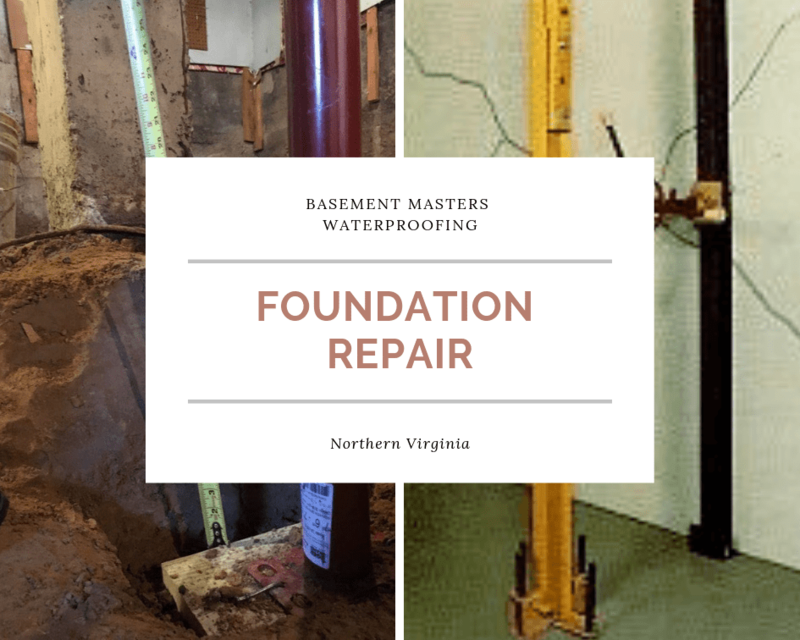 For all your basement waterproofing solutions in Ashburn, Virginia, call the experts at Basement Masters Waterproofing for a no-quote evaluation today.